Full color, high-quality digital printing is a great option for brands of all sizes and products in every market. 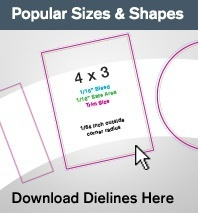 On demand digital offset printing allows you to order exactly the quantities needed to avoid stockpiling labels. Our digital labels are produced on HP Indigo presses, on rolls for machine or hand application. Digital labels are excellent for any label or packaging application you can imagine. What you see is truly what you get with our digital labels. 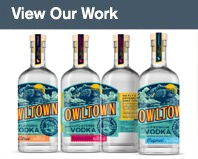 Our custom digital labels are produced on a variety of label materials and can be printed with variable images or designs where every label is unique from the other. From sequential barcodes and numbering to variable titles, text or graphics, digital labels are an excellent value. 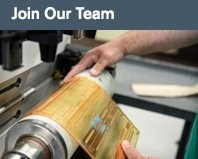 Our finishing press extends our capabilities with metallic inks and foils, sculpted embossing, varnishes and lamination. Few label printers can offer these services from a single facility. The digital print process enables us to minimize our set up materials and print more efficiently and with far less waste than traditional printing methods. 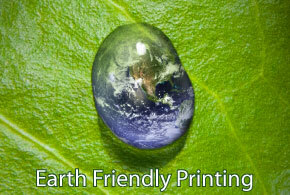 Nearly all of our digital inks are recycled and reused within the printing process itself, thus making the digital label printing process among one of the most environmentally friendly printing methods in the world today. What's more, Advanced Labels has partnered with Waste Management to recycle 90% of all of our companies operational, manufacturing and packaging waste. Now that's truly Green and few companies can make this claim of commitment to the environment. The proof is in the dot. 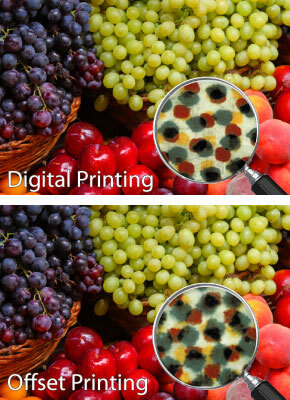 When compared to conventional offset printing, digital offset far exceeds the print dot quality when magnified under a loupe. With digital label printing, "what you see is truly what you get". HP digital ink does not absorb into paper material or expand on a film material, so the actual structure of the digitally printed dot retains the exact size and shape it was intended to be in your original art file. Because this print method is "one shot printing" where all colors are printed at one time, perfect registration without trap lines really is perfect registration. It is this print process alone that has advanced HP digital label printing beyond conventional offset printing and other print methods as well. Simply put, a new standard has been set with this technology that is nothing short of amazing. Advanced Labels has the best digital label printing capabilities available. This is the goal of every brand designer when creating a custom digital label design with shelf appeal. Our goal is to create an eye catching digital label that grabs a buyer's attention, prompts a second look, and encourages them to pick up your product and make a purchase. When this happens, we've achieved our goal and yours. Call them digital stickers or digital labels, it's your choice. But when your product sells, we call it a masterpiece. 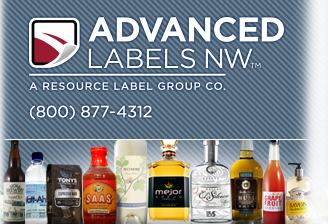 Give us a call today to discover how Advanced Labels and digital label printing can dramatically reduce your bottom line and change the way you look at digital labels forever.